Chennai, or Madras as it was known earlier, is the pioneer city in the history of modern India. Aviation excitement caught up with Madras within seven years of the Wright brothers’ first flight on December 22, 1903. Giacomo D’Angelis, a confectioner from Messina, Italy, arrived in Madras in 1880. He ran a flourishing confectionery business, and in due course of time established Hotel D’Angelis, Madras’s finest hotel of the time, in Mount Road. Inspired by Frenchman Louise Bleriot’s flight across the English Channel in 1909, D’Angelis built a bi-plane, with the help of Simpson’s, entirely from his own designs. The airplane was powered by a small horse-power engine. He tested his aeroplane at Pallavaram, and then arranged for a public viewing, for a fee, in March 1910. D’Angelis made the first public flight on March 26, 1910 from Island Grounds. Clearly, Madras pioneered the first flight in India, and may be in Asia as well. Subramania Bharati wrote in 1910 about the plane that was built by Tamil workers in the workshop of Simpson’s. Then, in 1914, J W Madley, the civil engineer who built Madras’s water supply system, assembled an aeroplane and flew from Island Grounds over the Red Hills water reservoir to make an aerial assessment with photographs. Madras again took the honours, when more aerial activity began to spread across India. 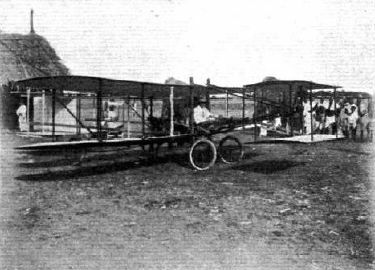 On February 14, 1911, Jules Tyck made demonstration flights from Island Grounds. He changed his demonstration timings from 6.30 pm to 8.30 am for better weather conditions. Governor and Lady Lawley turned out to see his successful flights over the Beach and Mount Road and over George Town. On the same day, in Mysore, Baron de Caters took off from Mysore Exhibition Grounds to Rangoon. En route, he made exhibition flights in Secunderabad at an aviation exhibition. During that same week, on February 18th, Henry Pequet made the historic first airmail flight at 5.30 pm from Allahabad exhibition ground to Naini, 13 miles away across the Yamuna. This was the first official air mail traffic, and the first official postal airmail cancellation in the world. While all initial flights in India were made by Europeans, Madras is closely linked with the emergence of India’s first aviator – engineer, designer, and test pilot. This was Srirama Venkatasubba Setty, better known as S.V. Setty. Born in Mysore in 1879, S.V. Setty graduated with a degree in mathematics from Madras University. Thereafter, he joined the College of Engineering, Guindy for two years after which he shifted to the Thomason College of Engineering, Roorkee, to complete his studies. 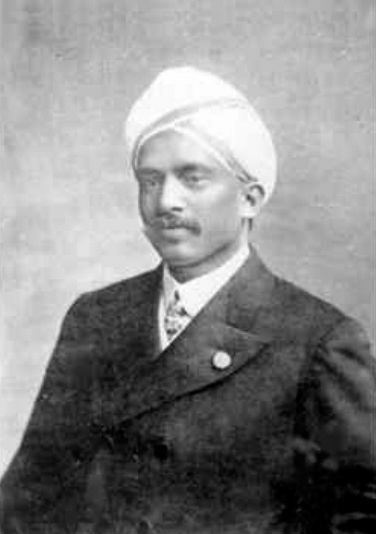 He joined Mysore State Service as an engineer in 1906. He won a scholarship in 1909 to Faraday House to pursue an electrical engineering diploma. Evincing keen interest in aviation, Setty joined A.V. Roe and Company (later to evolve as the famous Avro) in 1911, in its design and drafting department. Soon he enrolled in a flying course. When Setty flew the Avro D prototype it crash-landed. Setty analysed its flaws and redesigned the aircraft. He also demonstrated the improvement by test-flying it in front of the Australian aviator John Duigan. Impressed by the solution, John Duigan bought the aircraft, and named it Avro Duigan. Setty played a significant role in the design and development of the prototypes of the Avro 500 and Avro 504 aircraft. The Avro 504 evolved as the world’s first trainer aircraft. It was also the first aircraft to bomb Germany in the Great War. Setty returned to India in mid-1912, and was employed by the Mysore government. He went into design and manufacture of aircraft, but this was cut short by a ban imposed by the British India government. Unfortunately, Setty died prematurely in 1918 in an influenza epidemic that killed a fifth of Bangalore’s population. While J.R.D. Tata is considered the father of Indian civil aviation, for flying the inaugural postal flight from Karachi to Bombay in 1932, and also being the first person to be issued a pilot’s licence in India in 1929, it should be noted that Madras also had aviation pioneers. The Madras Flying Club pioneered air-mindedness in the Presidency. Set up in 1930, the Madras Flying Club commenced with 11 members of whom Rm.S.A.A. Annamalai Chettiar was the only Indian. It later increased to 71 members including 14 Indians. A trio of three Nattukottai Chettiars, all wealthy Chettinad businessmen, pioneered aviation in Madras through their personal interest and patronage. The first to get a private pilot’s licence in the Madras Presidency was Rm Avadaiappan Chettiar in 1931. He was barely nineteen. S.A.A. Annamalai Chettiar was the sixth to get his Indian licence, and Solayappan Chettiar was the 21st to get his license. While Annamalai Chettiar procured his own aircraft, the three Nattukottai Chettiars helped found a flying club in the village of Kanadukathan in Chettinad. This airstrip was strengthened during World War II for the operation of Allied bombers. There is also an unverified report of an Rm. Veerappa Chettiar of Puduvayal village having flown fighter aircraft during the Spanish Civil War (1936-39). Capt. V. Sundaram was the first person to get a commercial pilot’s licence in 1937. He flew from Karachi to Madras. His wife Usha became India’s first woman pilot, and they flew for the Mysore Maharaja and Tata Airlines. They set a world record flying a de Havilland Dove from London to Madras in 27 hours. This record for a piston-engine aircraft is still unbroken. The Great War (1914-1918) saw the use of aircraft in war, and this catapulted aviation research into military applications. From then on it was the military dimension that led aviation development. The Indian Air Force came into existence on April 1, 1932. The IAF’s first squadron, No 1 Squadron was established, albeit, very slowly. It took three years to establish three flights, and it remained so till the beginning of World War II. These were mostly deployed and used for policing activities in the NWFP. With war clouds looming in 1939, Coastal Defence Flights were created, with No 1 CDF positioned in Madras in 1940. Similarly, No 5 CDF was in Cochin, and No 6 CDF was in Vizag. While the IAF remained stagnant at one squadron, there were at least 6 to 8 RAF squadrons in India till 1939. 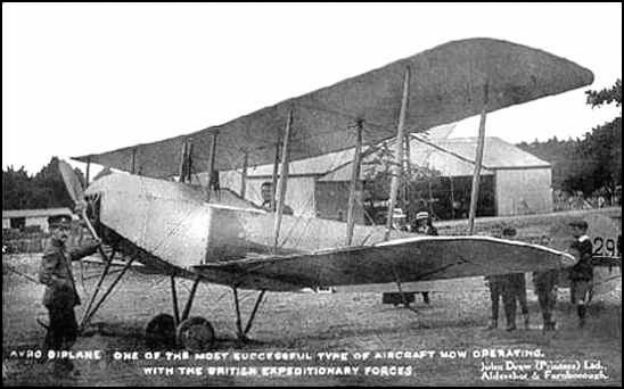 A Volunteer reserve concept was created, and civil licence holders were allowed, both Indian and British, for induction into the coastal flights, with mandatory training. The flying clubs became resource providers. 4628Giant tower to disfigure a heritage skyline? Giant tower to disfigure a heritage skyline? As a Familiar aviator myself I want to complement you on a wonderfully researched article written in a captivating manner. Delighted to hear our city scratched it’s aviation itch when it was an early concept!